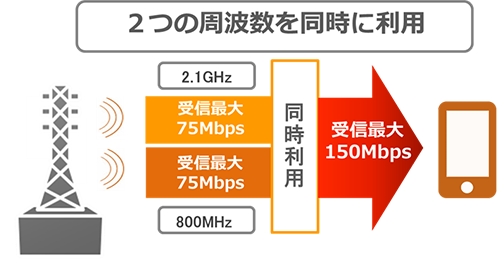 KDDI, Okinawa Cellular introduces for the first time in Japan, carrier aggregation technology for next generation high-speed communication standard LTE of “LTE-Advanced” (hereinafter referred to as CA) and by the end of summer 2014. It is designed to realize the data communication in LTE simultaneously in multiple frequency bands, by adding together the data received on each frequency up to 150Mbps CA, one to introduce this in “LTE-Advanced” technology. Approximately 2,500 stations in CA introduction point, we will expand to about 20,000 stations across the country by the end of March 2015.